The 'Maha Arogya Abhiyan' - Mega Health Campaign was organized by Municipal Corporation of Greater Mumbai (MCGM) from 8th February 2016 till 10th March 2016. 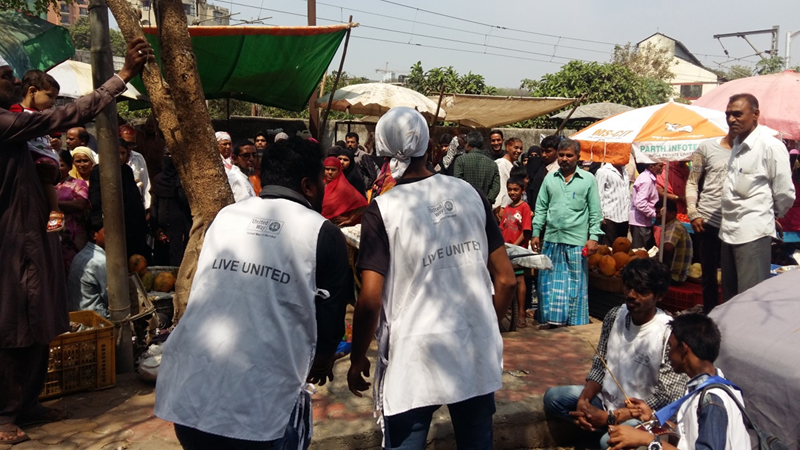 As part of this campaign, general health check-up camps were organized at slum communities across Mumbai city, with focus on mother and child health. Camps provided a free of cost facility for basic medical examination, medicines, medical referrals etc. The highlight of these camps was provision of complete vaccination for children below 5 years. The Public Health Department sought UWM's support in executing Information-Education-Communication (IEC) campaigns along with the health camps being organized as part of the campaign. This entailed activities such as street play performances, one to one and door to door interactions in the communities. These activities were instrumental in mobilizing community members to attend the health camps for screening and diagnostics. Street plays are short skits performed in public areas which focus on a social message. 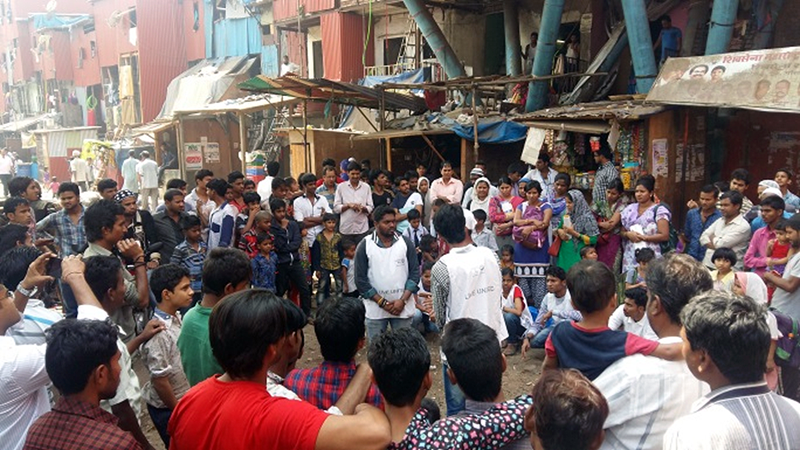 Each street play performance lasted for 10 to 15 minutes and was performed in the local language for easy dissemination of critical information related to pregnancy and ante-natal care, child care, Diabetes and Hepatitis B. These activities were carried out by team of UWM volunteers. 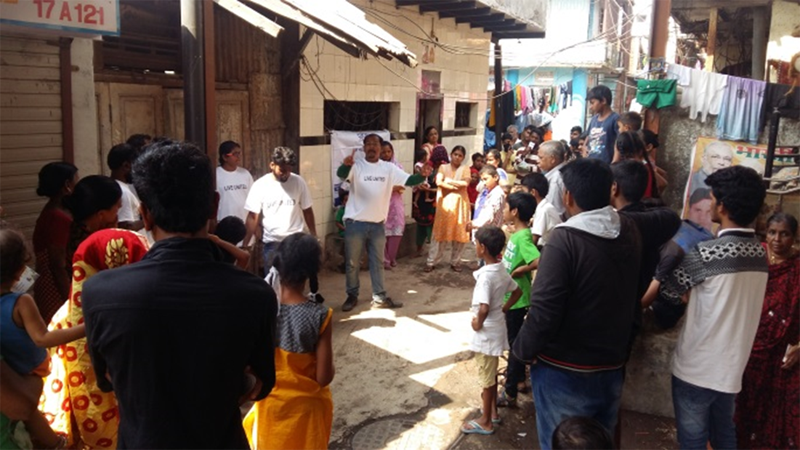 During this period, 31 slum communities were targeted for these activities and 93 street plays were performed. 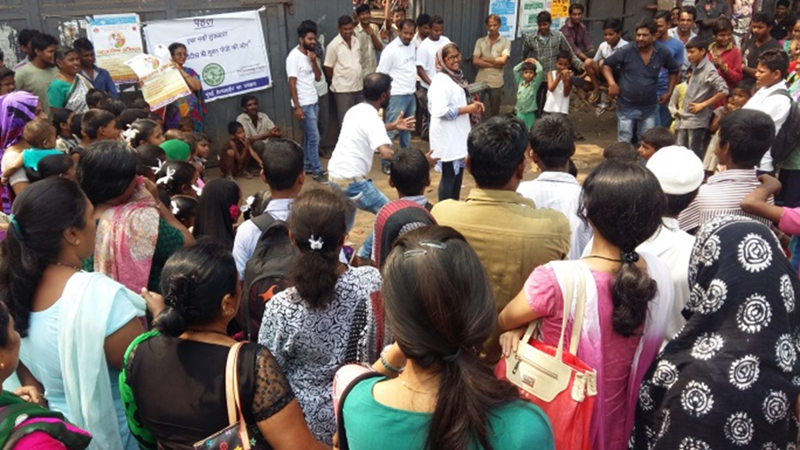 Over 5600 people were sensitized through the medium of street plays. 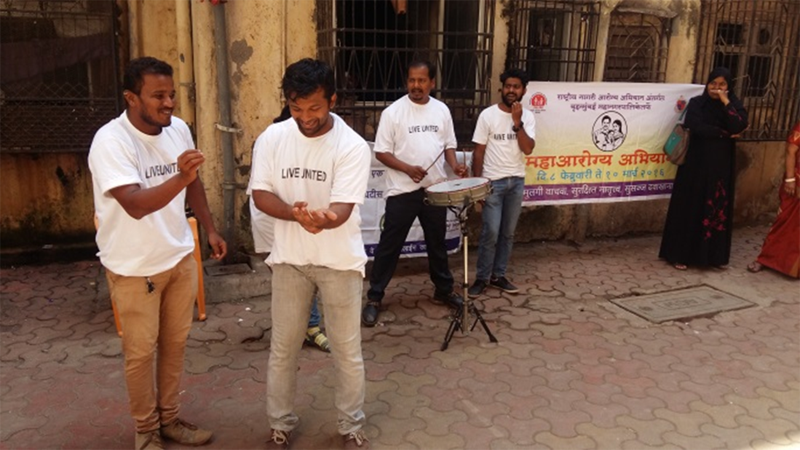 These interventions were carried out by UWM as part of project PAHAL which focuses prevention and awareness generation on Hepatitis B and is supported by Bristol Myers Squibb Foundation.